Yucca Valley Airport is located in the City of Yucca Valley, California. Situated in the High Desert area of San Bernardino County 3224 feet above sea level, the Airport serves several of the surrounding small communities, as well as the Joshua Tree National Park with general aviation air service. Yucca Valley Airport is open to the general public and to visiting aircraft 24 hours a day. 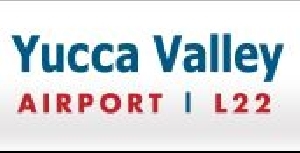 Yucca Valley Airport does not have any commercial passenger services; it does provide services such as aircraft maintenance and flight training. Yucca Valley Airport is located in Southern California, approximately 19 miles north of Riverside County’s Coachella Valley, containing the cities of Palm Springs, Palm Desert, Cathedral City, La Quinta, Rancho Mirage, Desert Hot Springs and Indio. Yucca Valley is surrounded by the communities of Morongo Valley, Joshua Tree and Twentynine Palms. 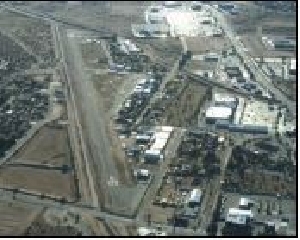 Yucca Valley is operated with one primary runway, oriented in an east-west direction. Yucca Valley Airport offers parking for transit aircraft at the west end of the airport. Yucca Valley Airport is located at Latitude 34-07-47.4000N and Longitude 116-24-24.8000W. The Airport has an elevation of 3224 feet above mean sea level.